Like pretty much every other Donegal native. 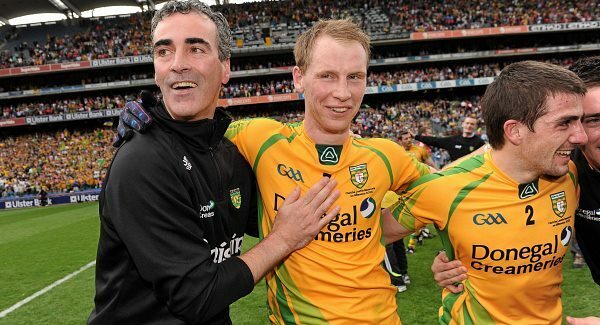 I have a fascination with what Jim McGuinness has managed to achieve with the Donegal football team. I guess as a sports coach what has gone on in my home county since 2011 is all the more fascinating. Every word that Jim has spoken and every line written has been dissected by the media and sports fans alike. I have read everything I’ve had access to and had the opportunity to meet Jim and hear him speak at The Donegal Man of the Year (which he won surprisingly enough;) awards at the start of the year. There are a number of key lessons I’ve learned from his philosophies and values and I will share them with you in this post. I will explain how he used these words to galvanise and unite the Donegal Squad, then I will show how this can be used to fulfil your potential as a golfer or anything else for that matter. 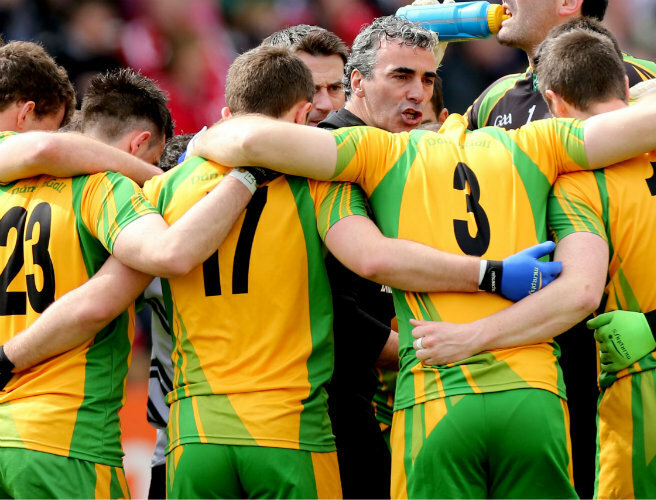 Achieve: The Achievements of the Donegal squad was in large part a by product of the previous steps, however even if they had not won the silverware they have over the last couple of years. They would still have achieved the self satisfaction that they became the best, they are capable of becoming. Self belief doesn’t come from saying nice things to yourself or shhhing the nagging doubts in your head. Belief comes from taking action, following your path and sticking to the values that make you the kind of person you can be proud of. Belief comes from heading up the fairway in the pouring rain when others are walking off the course (if becoming the best golfer you can be is an important part of your journey). Belief comes from acting and carrying yourself like the person you want to be. The biggest achievement you will receive in following the plan above is not that you will win lots of trophies and accolades, although you may, it’s that it might help you become the kind of person you are capable of becoming and you can look back and be proud of the actions you took along the way. All of us have a responsibility to respect the freedom and opportunities we are afforded by doing the best we can each and every day. So if fulfilling your potential as a golfer is something that interests you, start today. Commit to it. Take that first step. For your reflection. Use the image below to help you analyse where you are right now. From there you can move forward with a structured plan. If you would like help developing a plan for you to reach your potential, get in contact and I would be happy to help. I hope this has given you some food for thought and you can benefit from the JimMcGuinness ‘effect’.